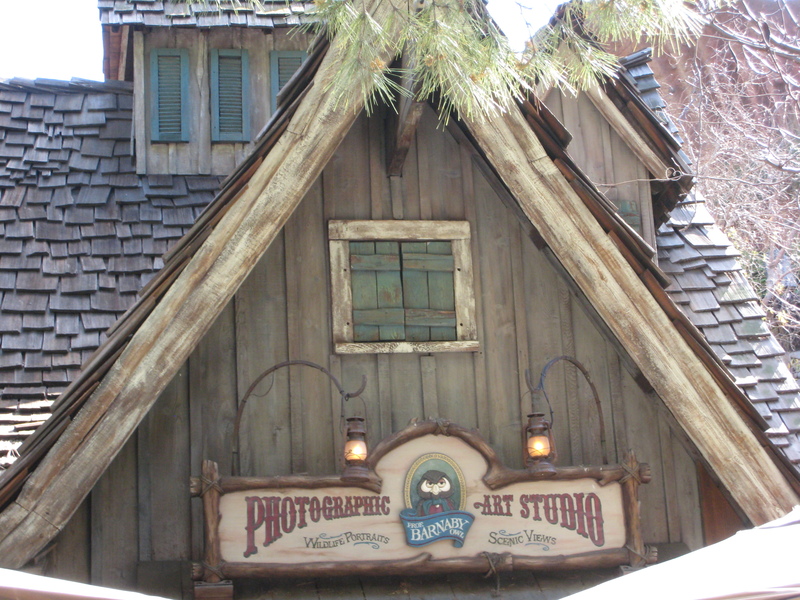 On January 31, 1992, the photo facility Professor Barnaby Owl’s Photographic Art Studio opened at the exit of the Splash Mountain attraction of Disneyland. The facility sells souvenier photographs of guests while they ride the attraction, with the photos being taken when the ride goes down the final plunge. This is the first Disney attraction to offer this service; it has been replicated at the Walt Disney World and Tokyo Disneyland park, with the name changed to Splashdown Photos. Posted in Uncategorized and tagged 1990s, Attraction, Disney Park, Shopping. Bookmark the permalink. 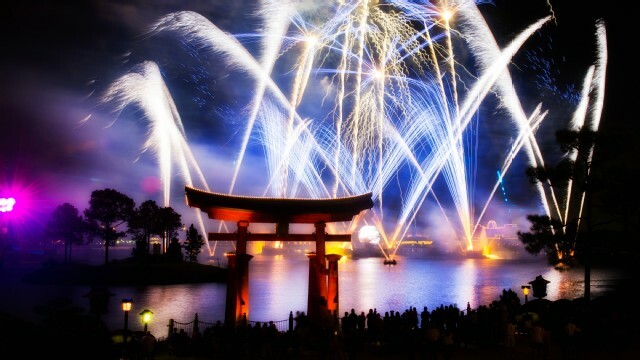 On January 30, 1988, the nighttime fireworks show IllumiNations began its run in Epcot’s World Showcase area, replacing the Laserphonic Fantasy. This show, featuring fireworks, lasers, fountains, and music, was originally sponsored by General Electric, although General Electric ended its sponsorship in December of 2002. Each area of the World Showcase was individually showcased with music highlighting the country, along with a spectacular laser show. The show ended with a fireworks show and symphonic music before the Epcot park closed for the night. Variations of the show have been created: IllumiNations 25 celebrated the 25th Anniversary of Walt Disney World, and IllumiNations 2000: Reflections of Earth was introduced to celebrate the millennium. IllumiNations 2000: Reflections of Earth has continued since its introduction in 1999, although it has dropped “2000” from its title. Posted in Uncategorized and tagged 1980s, Attraction, Disney Park, Epcot, Fireworks. Bookmark the permalink. Posted in Uncategorized and tagged 2010s, Disney Park, Epcot, Innovation, Technique. Bookmark the permalink. 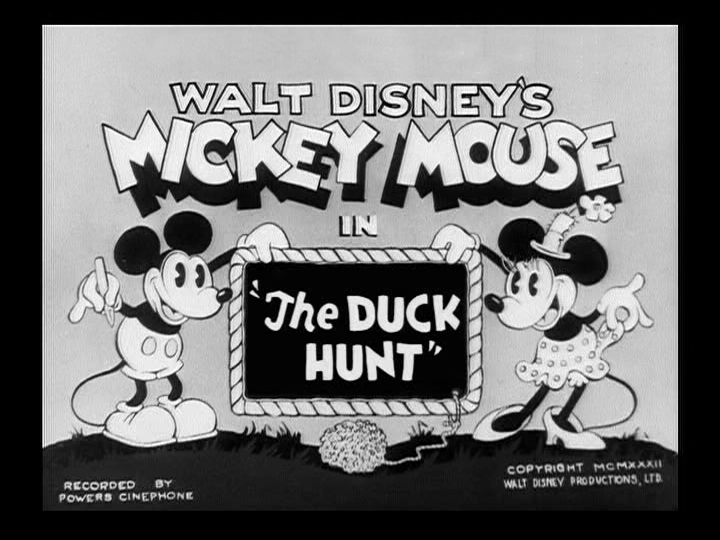 On January 28, the Mickey Mouse short film The Duck Hunt was released to theaters. It was directed by Burt Gillett. Mickey and Pluto are out duck hunting in the woods, and all the ducks are playing in a nearby pond. When they hear Mickey’s whistling nearby, the quickly disguise themselves in the pond, leading Mickey to believe there are no ducks around. Mickey then calls Pluto over, but when Pluto shows up covered in mud and jumps on him, Mickey gets angry and orders Pluto to sit, then stand. Mickey is then amused that Pluto is able to walk on two legs, and whistles Yankee Doodle Dandy while Pluto marches like a soldier. Mickey then marches with Pluto right behind him, and Pluto is followed by a swarm of marching fleas. The fleas attract the ducks, who march out of the water and quack in time with the song while trying to eat the fleas. Mickey soon spots the ducks, the ducks fly away as Mickey chases after them. Pluto wears a wooden duck on his head and hides in the water to attract the ducks while Mickey watches from the reeds. Unfortunately, Mickey sneezes, giving up the ruse, and the ducks fly away. One duck returns to flirt with Pluto’s fake duck, and as Mickey takes aim, he realizes his gun isn’t working. As he checks it, the gun fires while pointed at the air, shooting off a tree branch that damages the gun, making the barrel point down. Mickey fires again, this time shooting a hole through his boat. As the boat sinks, Mickey calls out for help, and shoots the gun again, this time with the barrel flying off and landing on Pluto, destroying his outfit. 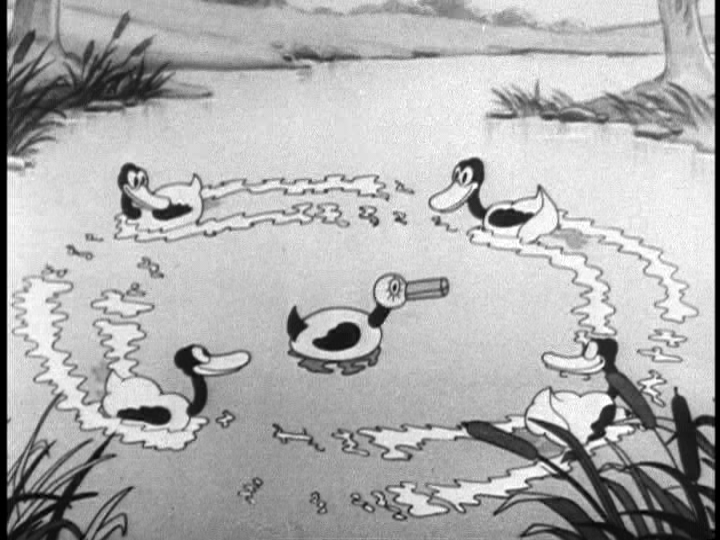 The ducks then band together to attack the pair, picking Pluto up by the ears and taking him off into the air. Mickey grabs on to Pluto’s tail to pull him down, but he is no match for the ducks. They finally let Mickey and Pluto fall to the ground, landing in some long underwear left out on a laundry line. 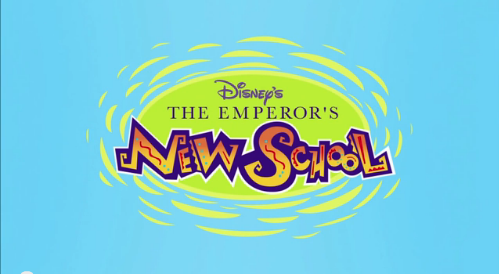 On January 27, 2006, the Disney Channel animated series The Emperor’s New School premiered. Based on the Disney animated feature film The Emperor’s New Groove, the series takes place right after the events of the film, with main character Kuzco being given the task of graduating from school before being able to claim the throne. 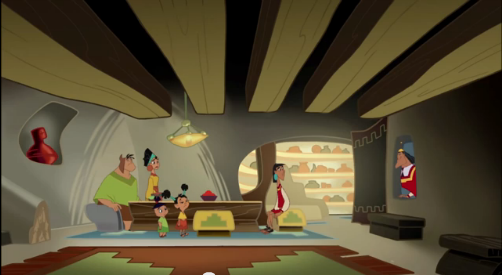 Having been banished from the palace until receiving his diploma, Kuzco is sent to live with Pacha and his family. The series ran for 52 episodes in 2 seasons. The series stars JP Manoux as Kuzco, Patrick Warburton as Kronk, Eartha Kitt as Yzma, Jessica DiCicco as Malina, Wendie Malick as Chicha, Fred Tatasciore as Pacha, and Rip Taylor as the Royal Records Keeper. Through its run, the series won several awards, including two Annie Awards for Best Voice Acting for actress Eartha Kitt as Yzma, and two Daytime Emmy Awards for Outstanding Performer in an Animated Program, also for Kitt’s performance. Patrick Warburton was nominated for an Annie in 2007 for his role of Kronk, and Jessica DiCicco was nominated for a Daytime Emmy in 2008 for her role of Malina; Howy Parkins was nominated for an Annie Award in 2008 for Best Directing in an Animated Television Production. The first episode, entitled “Rabbit Face,” begins with Kuzco having been turned into a rabbit by Yzma. Yzma plans to make Kuzco fail at school so she can become Empress. Kuzco takes the viewers to a bit earlier in the day in PE to explain what happened. The gym teacher explains that a cross country test is coming up, but Kuzco refuses to participate in any activity, bringing in yet another doctor’s note excusing himself. The gym teacher is done with Kuzco’s excuses, and tells him that not only is he running the race, he will fail PE if he doesn’t win. Kronk then meets up with Principle Amzy, who is Yzma in disguise. She is confident that Kronk will win, therefore making her Empress. Around town, everyone is placing bets on Kronk to win, as Kuzco hasn’t exercised a day in his life. That night, Kuzco overhears Pacha’s kids Tipo and Chaca saying how there was no way Kuzco could beat Kronk, and tries to pretend he’s not worried about the race. Pacha and Chicha are unconvinced, and Pacha reassures him that all Kuzco needs to do is his best. Kronk stops by Pacha’s house to say hello as he heads out on his nightly 20 mile jog. After he leaves, it turns out he was sent by Yzma to go and intimidate Kuzco, which worked well, as Kuzco went upstairs to his room and started to wail about what a loser he was. Pacha reassures him to do the best he can, and surprises Kuzco by setting up his treadmill for him, as well as setting up a specialized exercise program for him. Kuzco then heads off to the big race at school. Yzma sees how encouraged Kuzco is, and decides she won’t take any chances. She and Kronk head to the secret lab where she gets a potion to turn Kuzco into a turtle. At lunch, Kronk brings Kuzco some “special dipping sauce” for his lunch, which contains the potion. Kuzco refuses to eat the sauce, but Kronk forces it into Kuzco’s mouth. However, it is soon evident that Kronk grabbed the wrong potion, turning Kuzco into a rabbit instead of a turtle. He runs into Malina, and alerts him that he’s turned into a rabbit. Kuzco begins to panic, and decides to hide in the locker room, resigned to failing PE. Malina shows up in the locker room, wanting to see that he was okay. She tells him that she wanted to catch up with him earlier, but he was running so fast she couldn’t catch up. Kuzco suddenly realizes that, as a rabbit, he’s much faster than Kronk, and goes off to win the race. Yzma is shocked to see that he’s a rabbit, and decides to sabotage the race as best she can, but Kuzco is able to win it in the end. Kuzco passes PE, and Yzma blames Kronk for the failure of her plan. Posted in Uncategorized and tagged 2000s, Animated Series, Annie Award Nominated, Annie Award Winning, Disney Channel, Emmy Award Nominated, Emmy Award Winning, Television. Bookmark the permalink. 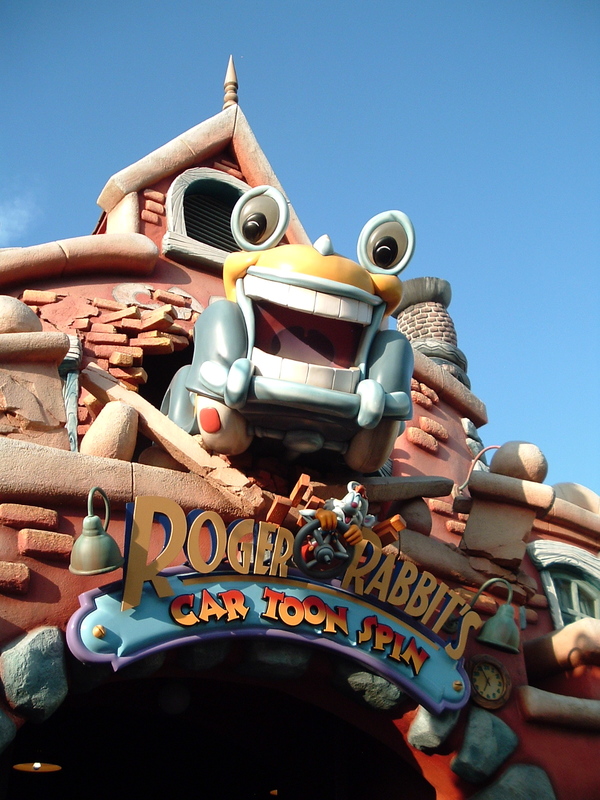 On January 26, 1994, the Mickey’s Toontown attraction Roger Rabbit’s Car Toon Spin opened. 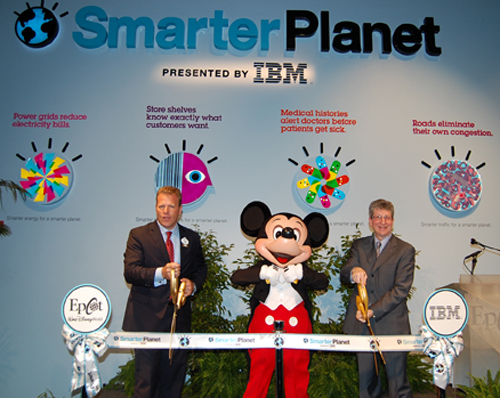 It is notable for being the first dark ride to be built at Disneyland in about ten years. Based on the film Who Killed Roger Rabbit?, guests are taken through the streets of Toontown while riding in Lenny the Taxicab, exploring a back alley while working to avoid the toxic concoction Dip being poured by the villainous weasels. Guests have the ability to steer their cab a full 360 degrees so they can gain control through the ride, even riding the attraction backwards if they would like. The attraction features 17 Audio-Animatronic characters, 59 props, and 20 special effects. A version of this attraction was opened in Tokyo Disneyland on April 15, 1996. Posted in Uncategorized and tagged 1990s, Attraction, Disney Park, Roger Rabbit. Bookmark the permalink. On January 25, 1931, Dean Carroll Jones was born in Decatur, Alabama. He left home at age 15 to pursue a career in music, picking up odd jobs here and there to pay the bills while singing in a club in New Orleans. During the Korean War, Jones served in the United States Navy. After a four-year stint, he ended up in San Diego, California, where he spent his free days auditioning; he eventually scored a contract with MGM, starring in mostly dramatic roles that included Tea and Sympathy and Jailhouse Rock. He made his Broadway debut in 1960 with the play There Was a Little Girl, and scored a hit with the comedy Under the Yum-Yum Tree; he reprised his role in the 1963 film version. Jones was brought to Walt Disney’s attention after starring in the NBC sitcom Ensign O’Toole, which led to being signed with the studio and starring in the 1965 film That Darn Cat! The film, notable for being Hayley Mills’ last film for the studio, was a success, and lead to Jones being cast in more films, including The Horse in the Gray Flannel Suit and The Shaggy D.A. 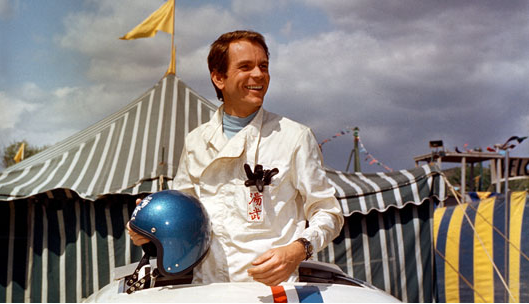 His signature role has been as driver Jim Douglas in Disney’s Love Bug series, where he appeared in two feature films, a short-lived television series, and a made-for-television film. Jones continued to star in several Disney television specials and remakes, with one of his last projects being the remake of his first film for Disney, That Darn Cat, released in 1997. Jones was inducted into the Disney Legends in 1995. Currently, he is semi-retired and living in California. Posted in Uncategorized and tagged 1930s, Actor, Births, Disney Legend, Feature Film, Live Action. Bookmark the permalink.